And it produced 46,000 RPM without bursting into flames. 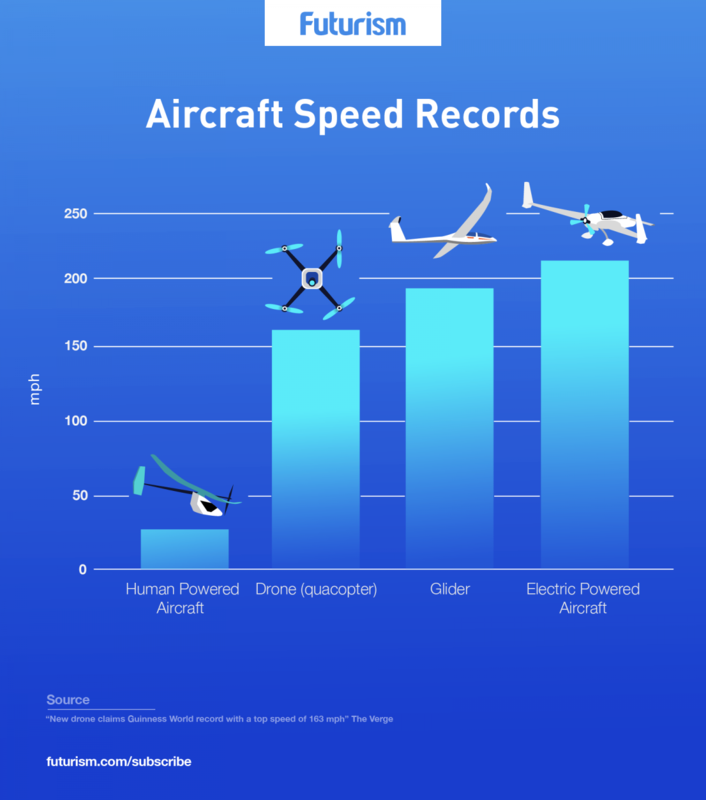 Engineers at the Drone Racing League (DRL) have developed a drone outside of the league’s parameters that has broken the Guiness World Record for fastest speed — it achieved 263.1 km/h (163.5 mph) on the 100-meter course, although it had recorded velocities of 289 km/h (179.6 mph) over longer distances. Speed is not the only boundary being pushed in the drone world, though — the machines are being applied to weird, wonderful, and sometimes worrying ends. NASA is developing drones to explore martian worlds, BioCarbon Engineering have proposed using them to plant trees, and the military is straying into ethically controversial ground by combining warfare drones with AI in order to fight enemies.